DR. MURRAYis currently Assistant Professor of Food Systems at Montclair State University in New Jersey. His research interests include Serious Leisure satisfaction and motivation across multiple activities, food safety, and the craft beer industry. 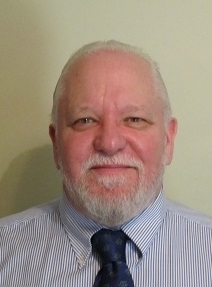 Murray has published in academic journals such as: the British Food Journal, the World Leisure Journal, and Advances in Bioscience and Biotechnology and serves on the scientific advisory boards of the International Conference of Culinary Arts and Sciences and the Jordan International Tourism and Hospitality Conference. He completed his doctoral degree in Nutrition and Food Science at Auburn Universitywhere he was awarded the Malone-Zallen Graduate Research Fellowship. In addition to his teaching and research experience Dr. Murray brings extensive food managementexpertise, having held leadership positions in chain restaurant operations, private clubs, and institutions. 1) Murray, D., Hartwell, H., Feldman, C., & Mahadevan, M. (In Press 2015). Salt, Chefs, and public health: An exploratory investigation of hospitality professionals’ perceptions in the US and UK. Submitted to British Food Journal 7/7/14. Accepted for publication 12/1/2014. 2) Feldman, C., Murray,D, Colavita, S., Iovino, S., & De Jong, T. (In Press 2015). The World Readiness Program in the Culinary Arts: Can motivation and academic competency be improved by teaching kids Food Studies on a shoestring budget? Submitted to The Journal of Foodservice Management and Education 6/25/14. Accepted for publication 12/2/2014. 3) Murray, D. & O’Neill, M. (In Press 2015). Home brewing and Serious Leisure: Exploring the motivation to engage and the resultant satisfaction derived through participation. World Leisure Journal. 57(4), 2015. 6) Murray, D., Feldman, C., Lee, L., & Schuckers, C. (2013). An exploratory study of food safety and food handling: Examining ready-to-eat foods in independent delicatessen operations. Advances in Bioscience and Biotechnology, Special Issue: E. coli Theories and Perspectives, 4(3A), 430-436. DOI: 10.4236/abb.2013.43A057. 7)Murray, D., & O’Neill, M. (2012) Craft Beer: Penetrating a niche market. British Food Journal, 114(7), 899-909. 8)Murray, D., & Ayoun, B. (2011). Hospitality student perceptions on the use of sustainable business practices as a means of signaling attractiveness and attracting future employees. Journal of Human Resources in Hospitality and Tourism, 10(1), 60-79. 2) 1/7/14 Nominated Outstanding Advisor, Montclair State University 3) 1/2013 Nominated Outstanding Advisor, Montclair State University 4) 1/2012 Nominated Distinguished Dissertation in the Social Sciences, Auburn University 5) 3/2009 Malone-Zallen Graduate Research Fellowship, Department of Nutrition, Dietetics, and Hospitality Management, Auburn University. Annual grant. 6) 9/2009 Johnson Industries Scholarship, College of Human Sciences, Auburn University. Annual award: one of one awarded.